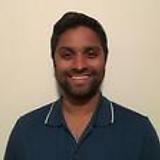 Fahmil Shah is a doctoral student at Boston University. He also teaches mathematics and mathematics education courses at the university level. His research interests include equity in mathematics education and mathematics teacher retention and his current work investigates the role of support networks in novice mathematics teacher retention.